We just want to thank you so much for a great job on planning our wedding. To organise everything ourselves would have been a nightmare. But with your assistance, we had a bigger and better wedding than we had ever hoped for. You answered every question we had, any phone call, attended any consultations and on a more personal note you were a ‘Maid of Honour’ figure for me as my girls were not near by. You are truly awesome at what you do, and you can turn any fairytale wedding into a real life storey. 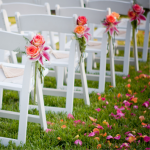 You were the first and last wedding planner we had spoke to and we hired you on the spot. As you would agree we had a lot in common and you knew everything we wanted and turned it from a thought into a reality. Again Tina, we just want to thank you for your assistance on making our special day one to remember. Not only did we get the most beautiful wedding from you but we have also made a friend. I just wanted to write to you to give you a massive THANK YOU!!! 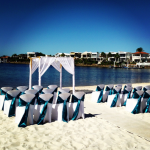 You made my wedding day so perfect, from the gorgeous beach decorations through to the absolutely stunning reception. I was truly amazed at the beautiful beach setting, and transformation when I walked though the door at the Surf Club…WOW!!! 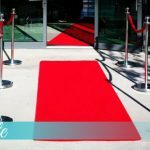 Your honesty and laid back approach, along with constant updates and confirmations, made all the preparations stress free. I want to thank you (and your husband!) again for making my day truly special, you did a brilliant job! 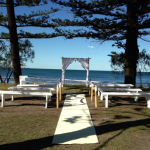 Just a quick note to thank you for the fabulous job you did organising the beach and table decorations for my daughters wedding on 10 November. As I only have one daughter, I sincerely thank you for making her day so wonderful. You did a terrific job and I couldn’t recommend you enough to anyone who is organising a wedding. Just wanted to touch base and say thank you for all your help for making our wedding day so memorable. The marquee was perfect for the heat, can you believe people got sunburnt!!!!! The whole decoration was “awesome” and the fact that it was “stress free”, setup and taken down by professionals. All our family and friends commented on how fabulous the decorations were. The personalized care and attention to detail that you provided is second to none! Tina you were our first choice for our wedding ceremony and reception decorations and we could not have been happier! 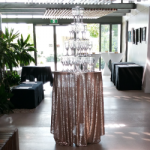 Our guests commented on how fantastic the ceremony set-up was, and our reception room was transformed into a fantastic cocktail reception area. Tina you were so accommodating and professional, and our big day would not have been as amazing as it was without you! Thank-you so much! Just wanted to say thanks again on the great job you did. 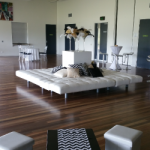 It looked amazing and I still have guests complimenting me on how beautiful it all looked….. 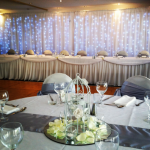 Thank you so much for the amazing work you did at the Powerboat Club – you completely transformed it into the most beautiful setting for our wedding. 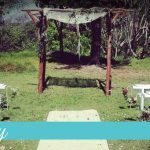 The ceremony was gorgeous, those petals really topped it off – it was just beautiful! It totally exceeded all my expectations. Thank you for taking away any disappointment we had in not being able to have the ceremony outdoors as planned – it turned out perfect as it was! I will happily recommend you to all my engaged friends and anyone else who asks – you really made our day perfect. And you know they say it’s good luck if it rains on your wedding day – so after Saturday’s weather – I think Phil and I have lots of luck coming our way!! Thank you so much again for everything you did to make our day as special as it was – it really wouldn’t have been the same without your help. 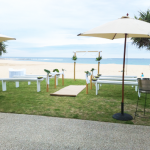 We just wanted to say thank-you soooo much for the beautiful ceremony set up at Cotton Tree on the10th March. Everyone said that everything looked perfect and, which we are both very grateful for. It was hard organizing our wedding from a different state, especially as we didn’t get a chance to meet until 2 days before the wedding, but everything all fell into place nicely. Even when we changed the ceremony site at the last minute! But we were very happy with the location on the day, especially that the weather held out. Thanks again for all your help in the lead up to our wedding – we really appreciate all the time and effort that you put in. Brent even mentioned that you helped to calm him down before the ceremony, so thanks for that also. “I have just returned from my honeymoon and I wanted to say a huge thank you Tina for helping me to organise such a fun and memorable wedding. The guests were really bowled over! I had originally planned on organising everything myself right down to every little decoration on the table, but soon realised what a stressful day I would have (not to mention almost impossible time wise). 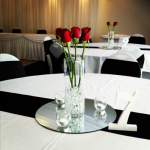 Using your services to prepare the wedding ceremony and decorations was some of the best money I spent on my wedding. You had plenty of creative ideas that fitted perfectly with my vision and offered advice that was practical and at times even cost saving to me. I found as the wedding got closer it was a real comfort to know there was someone that knew what I wanted and could take charge, while I relaxed and focused on enjoying my day. I found as the wedding got closer I became more reliant on you for advice or help with last minute oversights that I had forgotten. You were always helpful, professional and courteous, and I appreciate all the little extras that you add in with your service. I have already started recommending you to others! I wish you continued success in your business. You certainly deserve it, and obviously enjoy, and are dedicated to what you do. Thanks again, you were a star! Thanks for the photos they look great! Thank you so much for setting up our ceremony it looked beautiful and just what we wanted. The time and effort you put into making sure our wedding was just the way we wanted made all the difference. I still wanted to write to say how happy both Ben and I were with our day. 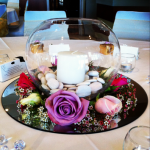 We were incredibly lucky to have Princess Events & Wedding Co-Ordinators help with our wedding. I’d like to thank you for the excellent service you provided, the entire day was a whole lot of fun and the end results were astounding! From the first time we met, you were professional, friendly and reliable. We cannot thank you enough, without you; our day would not have been as amazing as it was! You gave us exactly the look we desired for our wedding day, it was a really beautiful experience. Thank you for your very important part in it! Thank you so much for all the help you have given to make our wedding such a wonderful experience. I am so happy with how everything was set up. The ceremony and reception looked beautiful. I couldn’t have asked for more. It was how I envisioned it. The Ceremony looked fantastic like a fairytale. Again, thank you so much. Dan & I would like to thank you for everything you did in making our wedding day so special! I could not have asked for more when it came to the ceremony, it looked amazing! Thank you once again and good luck for the future. You have done an absolutely amazing job on our wedding. 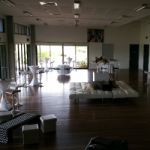 What a wonderful exciting day we had and everyone commented on the set up at the ceremony and reception. I can’t thank you enough! This is just a quick email to pass on our sincerest thanks for the beautiful ceremony and reception on Saturday. Everything was perfect, above and beyond all that we had hoped for. You did a fantastic job and we just wanted to thank you for making our special day perfect and for all the support and advice that you have offered us during the planning of the wedding. A very belated thank you for everything you did to make Our Wedding spectacular. Arriving at Penny Lane Park and seeing what you had created just took my breath away. It was absolutely perfect! So did the Surf Club – it looked just magical. You are a very talented person who is also full of fun and laughter, which makes things run a little more smoothly. We will be recommending you to the world, and if we ever need a decorator again, you are the person we will call. Basically we can’t say thank you enough. Take care Tina & a million thank you’s again. Thankyou so much for everything you did for us. The day was perfect and the ceremony set-up looked amazing. We couldn’t of wished for a better day! Back at work after a fantastic week in the Whitsundays. We really loved the day, especially the ceremony was beautiful for us, thank you so much for everything – I’m looking forward to seeing some photos of the ceremony and reception before everyone was there as I’m told by Julian it looked great. Thank you so much for my ceremony decorations, they were perfect and matched the theme that I had imagined for my wedding. Thank you also for all of your advice leading up to the wedding, it was invaluable. Also, a Big thank you for changing the ceremony location at the last minute & sorry for the confusion.